Not all books will still be available. Try alternative sources should you wish to obtain an unavailable book. An Adventist and a Catholic, by Paul Eirene, C.Ss.R. 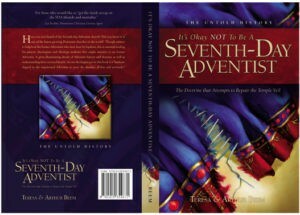 This book, written by a Catholic priest, is a personal encounter with Seventh-day Adventism. It consists of letters exchanged between the author, and an Adventist friend. It captures the deep spirituality of Catholicism and compares it quite objectively with Adventism. I read this book and was stunned at the contrast between the incredibly spiritual depth of Catholic teaching and the message of the Bible on the one hand, and the Adventist attempt to read things into the Bible and bring back the Old Covenant Sabbath on the other hand. Truly one of the best books I have read on the Catholic view of the Sabbath and other Adventist teachings. This is really a MUST for any Catholic interested in Adventism, or any Adventist interested in Catholicism. The book was translated from the original Slovak. An extract from the book can be read here. 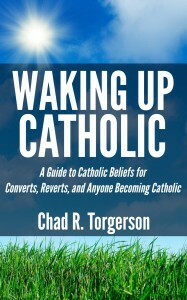 In his new book, Waking Up Catholic, Chad Torgerson describes his journey into the Catholic Church. He discusses how his faith in Christ developed over the years, from Lutheran, to agnostic/atheist, to born-again Protestant, and finally Catholic. Specifically, he brings in how his relationship with Christ was influenced by his study of Catholic teachings and practices, and shows how they can bring one closer to Christ. The book is easy to read, but gets to the point of complex issues remarkably well without becoming too complex on the one hand, or being too simple on the other. Chad discusses several important topics that non-Catholics find problematic and often misunderstand, and shows how he overcame that misunderstanding, how these issues eventually made sense to him, and how he saw that there was indeed no conflict between Catholicism and the Bible. The important topics he covers are Tradition vs Sola Scriptura, the continuous transmission of Christ’s teaching through the authority of the Church from the first century till today, the priesthood and the hierarchy of the Church, the Trinity, Mary and the saints, the Eucharist and the Real Presence of Christ, and prayer. As part of the New Evangelisation, the book is great for cradle or lapsed Catholics who want to get to understand their faith better; it is a useful guide for new Catholics wanting to apply their new faith; and it is an experiential explanation for non-Catholics who want to understand what the Catholic Church really teaches and practises. Lastly, anyone who wants a good conversion story should read this book, whether they know a lot or just a little about their faith. Full book review by me here. This hard-hitting, eye-opening documentary explores the teachings of the Seventh-day Adventist Church, its origins, and the changes which have occurred throughout the years. It examines the claims of the religion’s founder, the late prophetess Ellen G. White, and compares her unique beliefs with Biblical truth. The Darkness in The Light, by Rev. Dr. Bradley Carey, Institute for Christian Works. This book examines the teachings and beliefs of several of the larger and more common cults in the world today. It will take the teachings of the Mormons, the Jehovah’s Witnesses, the Seventh-day Adventists, and the Freemasons, and compare them with what the Bible has to say. Some of the information discussed in this book may surprise you. Some of it may actually shock you. But it is all the truth, and quoted from the books put out by the organizations discussed in this book. Upon This Rock, by Stephen K Ray, former Evangelical Protestant. It demonstrates that the Papacy is a true biblical principle. Available in paperback and electronically from Ignatius Press. Crossing the Tiber, by Stephen K Ray, former Evangelical Protestant. It gives his story of conversion to Catholicism, and how he discovered the true roots of Christianity within the Catholic Church. Available in paperback and electronically from Ignatius Press. Pope Fiction: Answers to 30 Myths and Misconceptions About the Papacy by Patrick Madrid, 340 pages. Patrick Madrid, editor of Envoy Magazine refutes errors about the papacy often made by its opponents. It is available on Amazon. 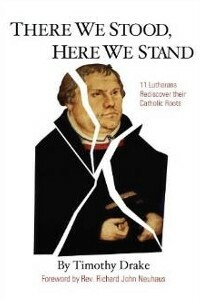 There We Stood, Here We Stand: 11 Lutherans Rediscover their Catholic Roots, by Tim Drake. From the author: When I was considering coming into the Catholic Church I lamented the fact that there were no books which spoke to me as a Lutheran. This book was born from that frustration. It features eleven Lutheran converts to Catholicism, including seven former pastors, both men and women. 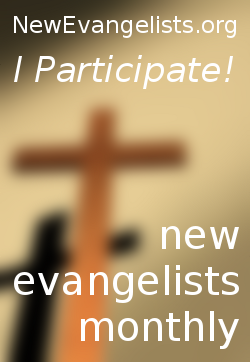 Catholics who like conversion stories, and open-minded Protestants will find their stories compelling. Marcus Grodi, President of the Coming Home Network and host of EWTN’s “The Journey Home” says that the book “goes where no other book of conversion stories has gone – to the heart of Luther’s Reformation.” Available on Amazon. 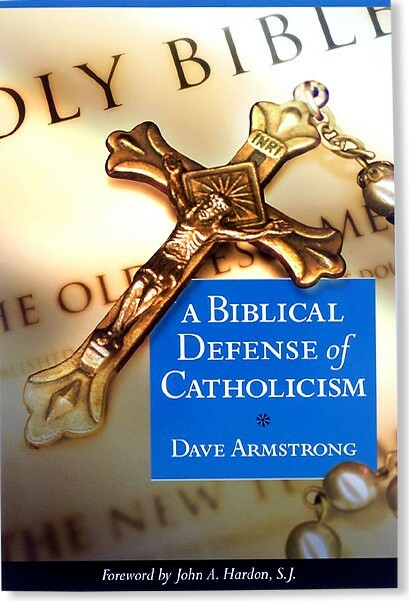 A Biblical Defence of Catholicism, by Dave Armstrong. Website – Biblical Evidence for Catholicism. This book (and others) can be purchased by clicking on the image, to connect to his webpage’s book section. A truly excellent source for defending Catholic teaching from the Bible – one of the best. Sabbath in Christ, by Dale Ratzlaf, former SDA pastor. It can be ordered directly from his website as it is not available in most bookstores. Summary here. The Cultic Doctrine of Seventh-day Adventists: An Evangelical Resource, An Appeal to SDA Leadership, by Dale Ratzlaf, former SDA pastor. It can be ordered directly from his website. Summary here. 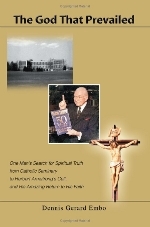 The God That Prevailed: One Man’s Search for Spiritual Truth from Catholic Seminary to Herbert Armstrong’s Cult, and His Amazing Return to His Faith, by Dennis Embo, Catholic revert from the Worldwide Church of God. Excerpt here in Catholic Exchange. Amazon. Barnes & Noble. 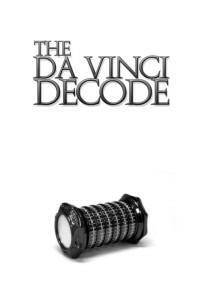 The Da Vinci Decode, a book written by Grenville Kent and Philip Rodionoff (Adventists) in Australia. It’s really worth reading – no matter what your denomination. It can be downloaded here. Sundown To Sunday: A Sabbath Day’s Journey, by Joao Machado.